RALEIGH – People driving, biking or walking on a stretch of Hargett Street downtown will travel under a grid of lights if Kane Realty gets its way. Raleigh-based Kane Realty is asking the city for permission to hang string lights across Hargett as part of The Dillon project, a development it’s building between West and Harrington streets. 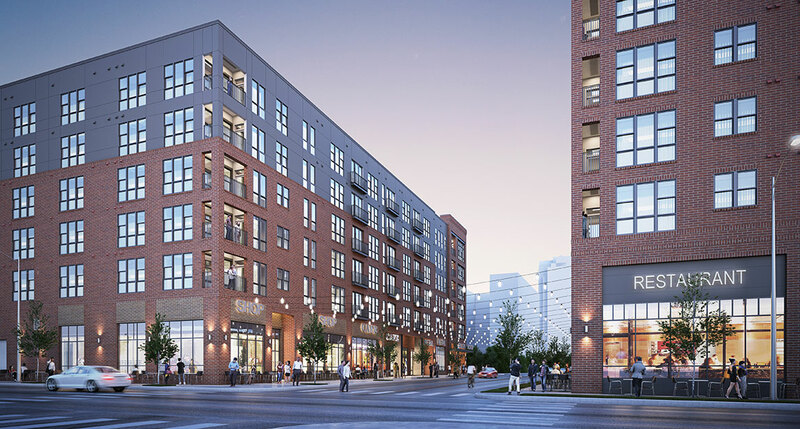 The lights would hang between the six-story apartment building Kane is constructing on the north side of Hargett and an 18-story, mixed-use tower on the south side of the street. They would be between Citrix and Legends Nightclub. The city doesn’t currently have a policy that would allow such nontraditional lighting over a major street, so Kane can’t move forward with the plan for string lights until it does.